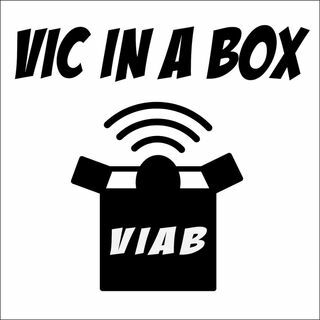 Vic In A Box is a weekly podcast hosted by Victor DiMattia; star of many TV shows and films including Dennis the Menace, The Sandlot, Cool as Ice, and more. So many more. It’s super impressive. Every week Vic, along with his co-host and lifelong friend, Steve, talk pop-culture, movies, television, acting, music, superheroes, comics, sports, life in Los Angeles, life in Philadelphia, life in general, ice cream, cheesesteaks, peanut butter, Pitbulls, Shih Tzus, Pit-Tzus, or you know, whatevs. ... Más informaciones They’re sometimes funny, sometimes entertaining and sometimes neither of those things. So spend a half hour a week listening to your old buddy Vic. And Steve. Seriously, why not? They would listen to your podcast if you had one. DISCLAIMER: There is naughty language. A lot; like so much. Also, the views expressed on this show do not necessarily reflect those of anyone. Least of all Vic. In fact, most of the time he regrets almost everything he says the next day. So listen at your own risk… Now you can’t sue us. Boom.